Everything will be explained en detail in the video, but I made sure to note the focal points underneath for further reference! Skin has a barrier function, to prevent bacteria from getting in and to prevent water from evaporating, leaving the skin dehydrated. This barrier is made up from keratinocytes as well as lipids and is mainly in the top layer of the skin, the stratum corner. Several things can lead to loss of lipids and weakening of the barrier function. Emollients are either physiological lipids, like ceramides, cholesterol and fatty acids, or they are silicones. They penetrate the skins top layer and fill up the holes that the lipids left, thus “repairing” the barrier. I will do another video on silicones vs. physiological lipids soon, just note for now that both have certain advantages and disadvantages, but that silicones aren’t bad for your skin (unless you are allergic). Healthy skin benefits from a mixture of all there physiological emollients (1:1:1), but skin with an impaired barrier function might need a different ratio, for example more ceramides than cholesterol, or mainly fatty acids, depending on what it has lost. To my knowledge there are no means to measure what your skin has lost, so best advice would be to try different products and see what benefits your skin. 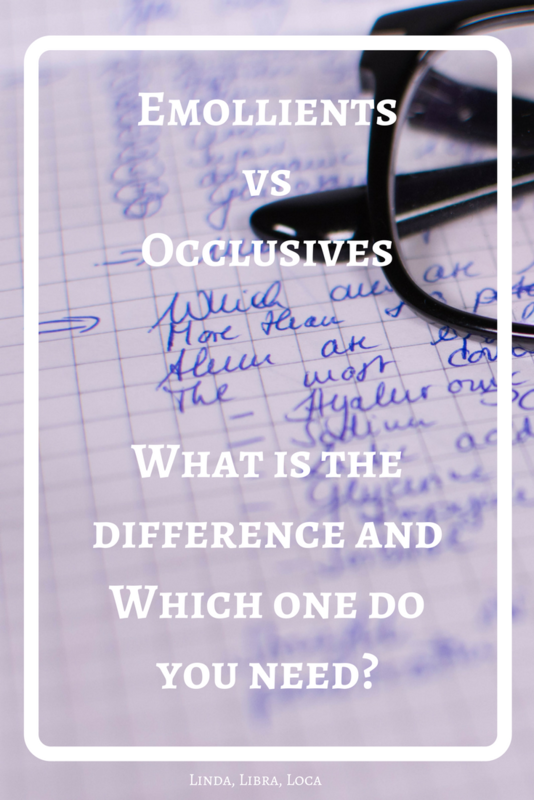 Common occlusives are petrolatum, mineral oil, lanolin, beeswax, olive oil and avocado oil. Unlike emollients they don’t penetrate the skin, but stay on top, forming a film that prevents Transepidermal Water Loss (TEWL) quite effectively. Our physiological occlusive is sebum, so if your skin is naturally oily like mine, occlusives are the ingredient you won’t need to worry about too much. If you want to protect your skin from harsh weather though, like being out in the snow and wind, a layer of occlusives is what will work best. Again, mineral oil and petrolatum do have a bad reputation, and again I can tell you that it is not justified. In fact, petrolatum is the most effective occlusive you will find, it prevents up to 98% of TEWL. If you need 98% reduction of TEWL though again depends on your skin and your environment. Keep in mind that you don’t only seal in the water, but also any sweat and dirt you have on your face! 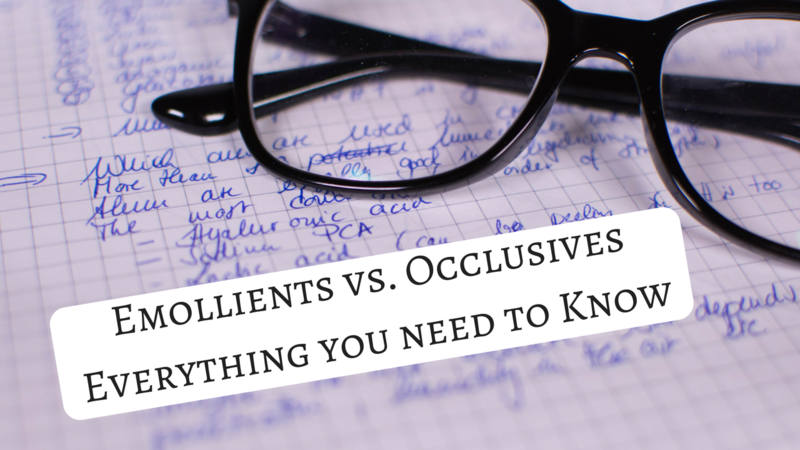 Please note that the line between occlusives and emollients isn’t easy to draw. Most ingredients will have a little bit of both, but with an emphasis on occlusive or emollient function. There is no black and white in skincare! Both have their value and will help your skin either repair or maintain its barrier function. Emollients by actually filling the gaps, occlusives by preventing dehydration. 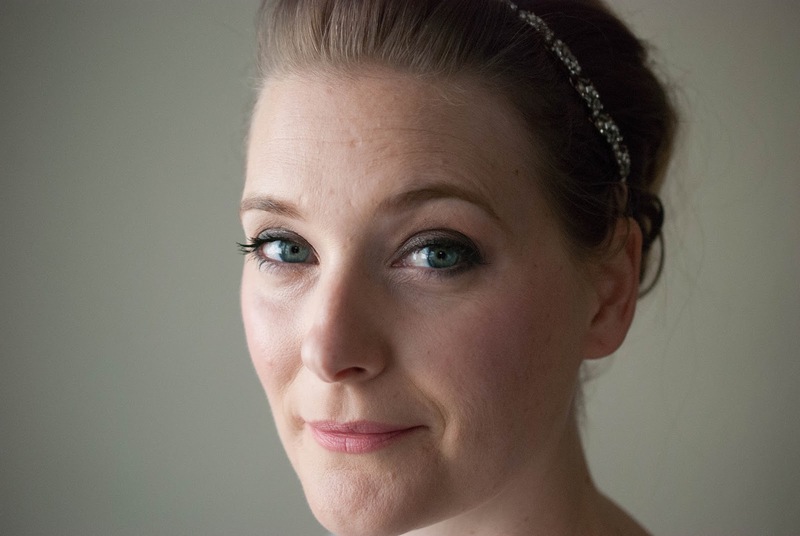 Personally, with my sometimes over exfoliated, but still oily skin, I prefer emollients (which you can usually find in lighter creams or serums), but people with dry skin like my sister will benefit more from using occlusives in their skincare (common in thicker, heavier moisturizers).